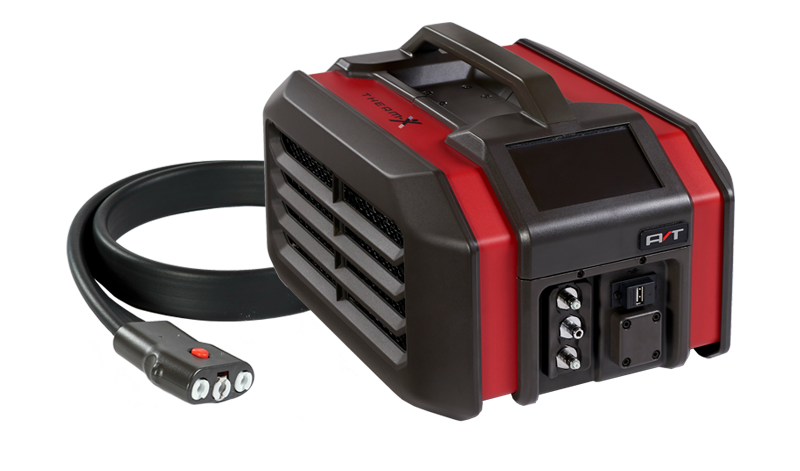 The Therm-X weighs only 14 lbs. 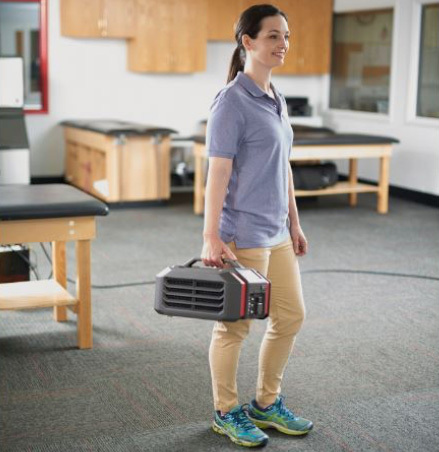 making it easy to carry to the game, room to room in a clinic, or home for convenient treatment. Unlike competitors, the Therm-X does not require you to empty it, clean it out, and refill it. The Therm-X coolant is designed to clean the machine and hoses as it is used. Simply top off the coolant tank when it gets low. The Therm-X will notify you with a low coolant indication on the touch screen when its time to refill. The Therm-X allows you to choose pre-set or custom protocols. 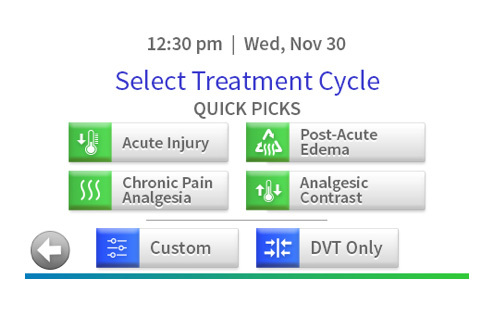 Simply choose one of the quick pick settings based on patient need, or select custom to enter your own setting criteria. 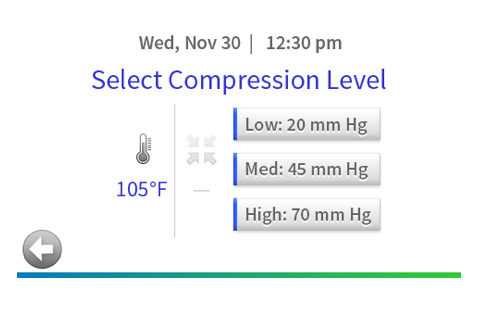 Available custom settings include fluid temperature, compression level of garment in mm Hg, and time of treatment. Custom setting may vary depending on modality. Patient progress is easily monitored once the cycle has begun. 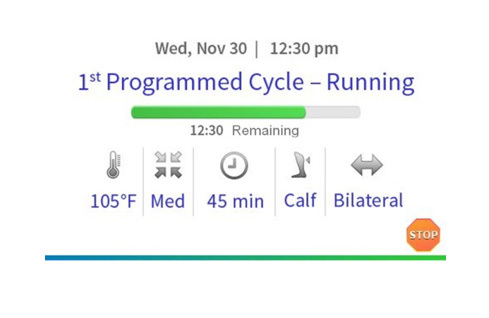 The run screen includes time remaining in the treatment cycle, temperature level, garment compression level, and additional indicators depending on which treatment is being employed. 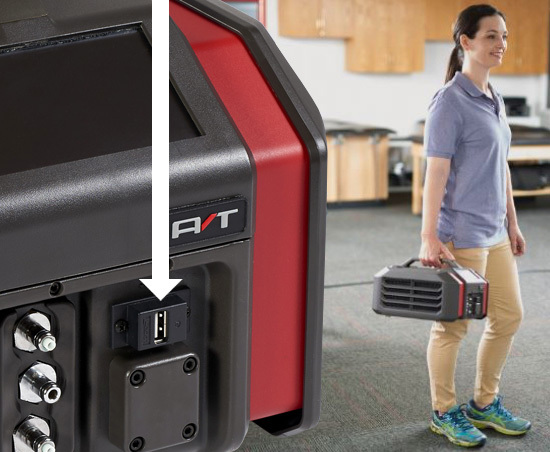 Password protection is available on both the Therm-X AT and PRO models. 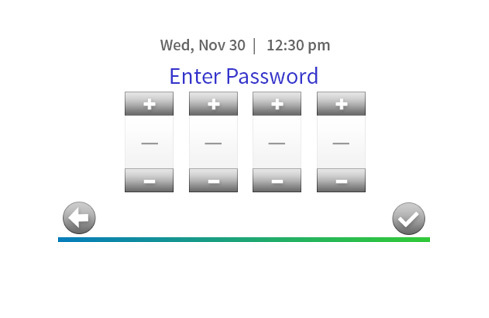 The password function can be turned on or off, depending on need. Password protection is valuable when machine is traveling home with patient or is being used when clinician is not present. It ensures that the programmed treatment protocol is not changed. The Therm-X includes a fast charge USB port for mobile phones or tablets. It is a nice convenience feature for athletes and patients who spend a lot of time sitting for treatment.